An unopened bottle of beer recovered from the wreckage of the Hindenburg is up for auction. Again. The 1937 bottle of Lowenbrau sold for over $18,000 back in 2009. The bottle has fire damage, but since the airship had a smoking room, I suppose that could've happened before it crashed. Left: the bottle up for auction in 2009. 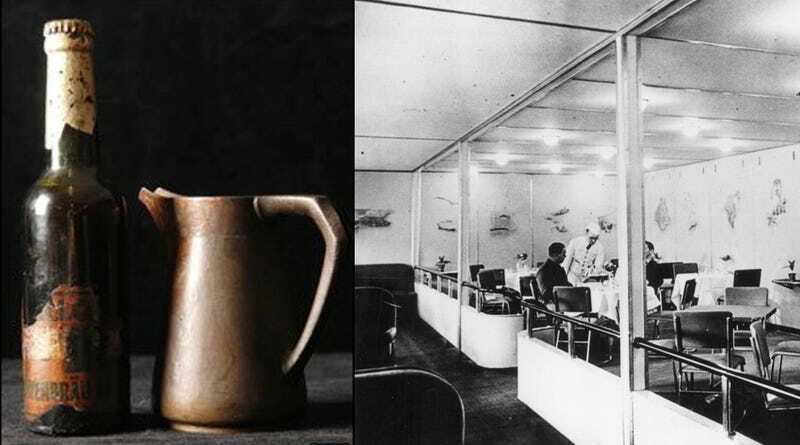 Right: The dining room of the Hindenburg.